Get the inside story on the famous fortress in the heart of Moscow that has withstood fires, invaders, and revolutions for almost seven hundred years. Lined by nineteen beautiful towers, the high walls of the Kremlin enclose colorful domed cathedrals, treasure-filled museums, and the Russian capitol. But this Moscow fortress has had its share of dark days. Follow along with author Deborah Hopkinson as she recounts the tales of spying, murder, missing children, and lost treasure that are part of this landmark's long history. 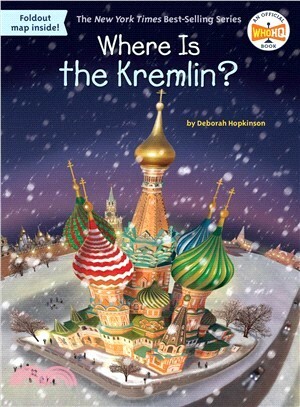 Deborah Hopkinson (www.deborahhopkinson.com) is the award-winning author of more than 40 books for young readers, including Who Was Charles Darwin?